So you are an avid gamer who would want nothing but the very best when it comes to the kind of hardware used in your gaming sessions. You have got the very best CPU and video card that are in the market right now, and so too, are your mechanical keyboard and gaming mouse that have been rated to last many millions of clicks without breaking down. One thing’s left — making sure that the gaming monitor you use is the right kind. 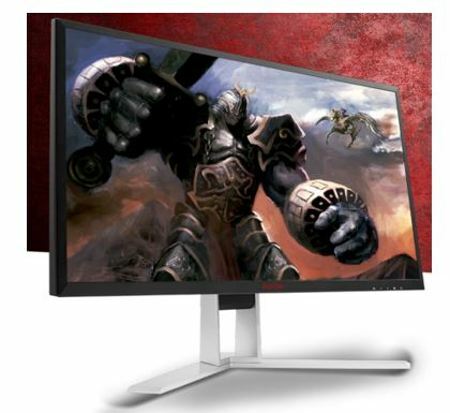 AOC has come up with not just one, but two 24-inch Agon monitors for folks in the US. A worldwide leader when it comes to monitor display technology, two new monitors have been announced to make up part of the Agon series. These two are already available in the US at the moment, and they are none other than the AG241QX (24-inch Class Adaptive-Sync) and the AG241QG (24-inch Class NVIDIA G-SYNC). A common feature that these two share happens to be QHD resolution as well as a 1 ms response time. The AG241QG will arrive with 165 Hz, NVIDIA G-SYNC technology and NVIDIA ULMB, while the AG241QX will feature 144 Hz and Adaptive-Sync technology. Regardless of which particular model that you choose, both of them have been specially made for enthusiastic and highly competitive gamers, enabling them to enjoy their gaming sessions without the problems of stutter, screen tearing and motion blur. The AG241QX and the AG241QG will arrive with $499 and $699 price tags, respectively. Apart from these two, there will be a trio of monitors arriving soon in the future. They are the 27-inch AG271UG NVIDIA G-Sync Gaming Monitor with 4K resolution and rapid 4ms response time, sporting a $799.99 price tag as it arrives later next month. Up next, the 35-inch AG352UCG that is a curved NVIDIA G-Sync Gaming Monitor which delivers a highly immersive gaming experience for $999.99, also in late March. Last but not least, the AG251FZ, which is the 240Hz and fastest Agon Gaming Monitor coming to market this May for $499.99.